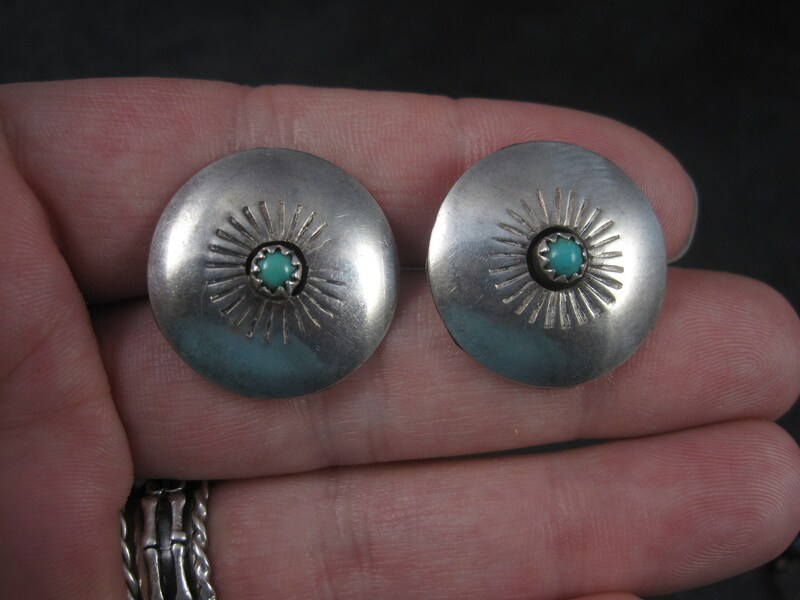 These beautiful vintage Southwestern earrings are sterling silver. 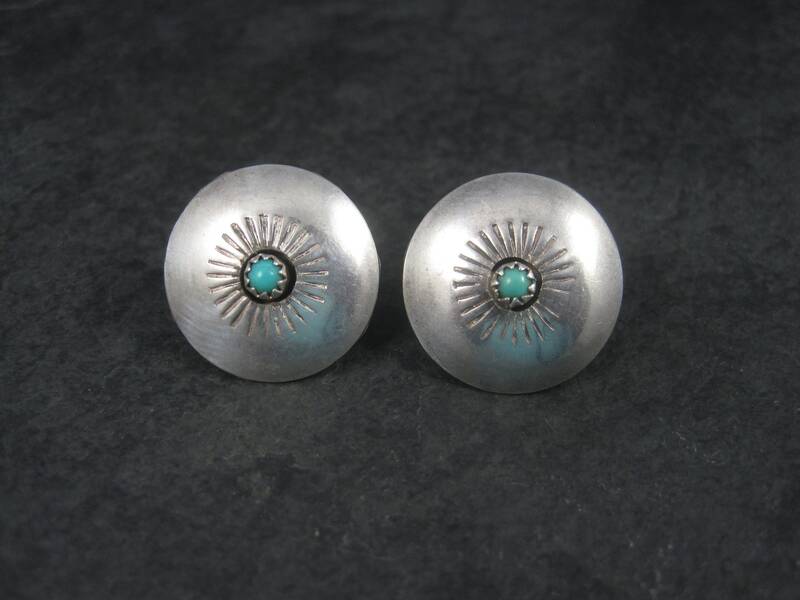 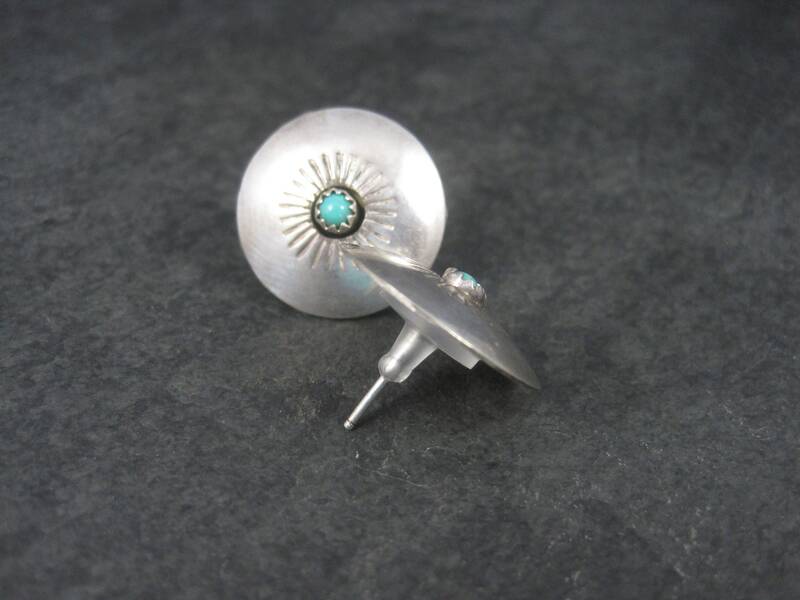 They feature a shadowbox design with small snake eye cut turquoise stones. 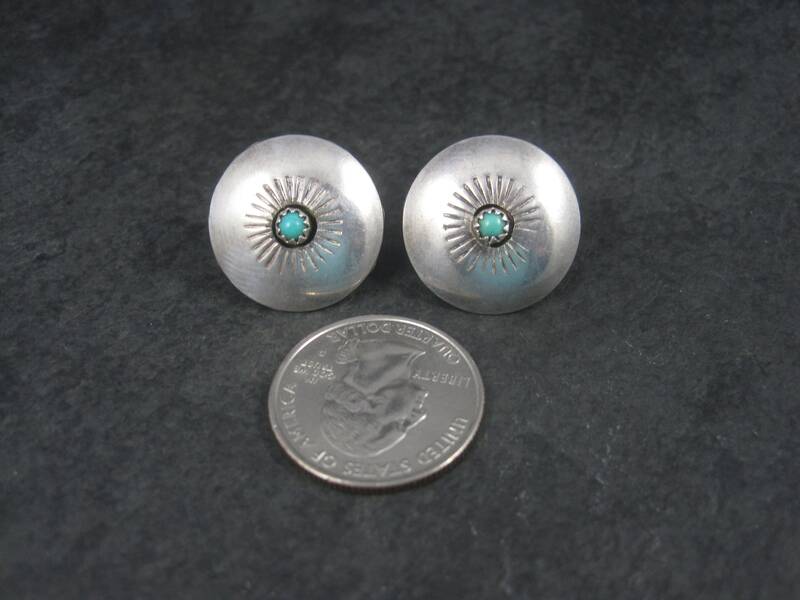 In accordance with local ordinance, these earrings have been steam cleaned. 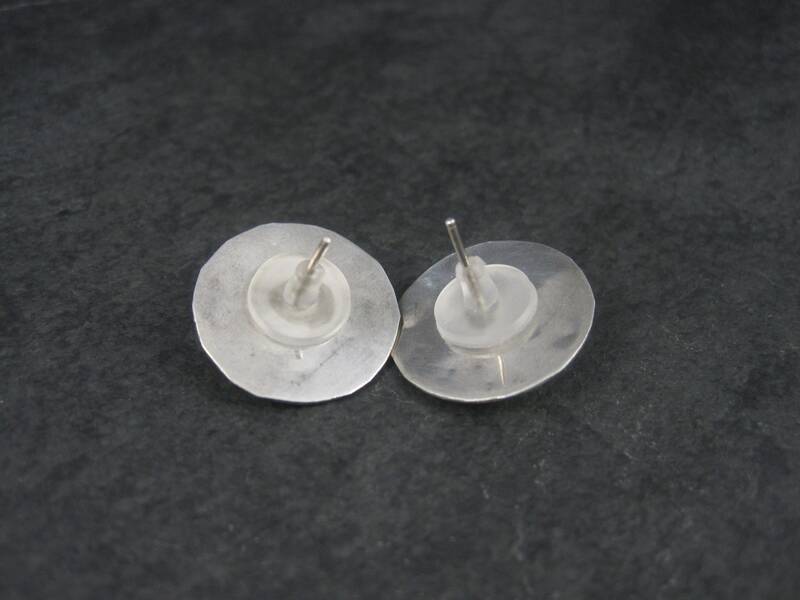 They are non returnable.